Technogym’s social challenge, involving fitness clubs all over the world to raise awareness in the fight against obesity and sedentary lifestyle, is back for the sixth year running! Technogym – the world leading brand in wellness products, digital services and official supplier to the last seven Olympic games – is proud to announce that the ‘Let’s Move for a Better World’ social campaign are open. Let’s Move for a Better world, at its 6th edition, represents the biggest social campaign in the industry. It leverages Technogym’s technology and connected equipment to motivate people to join their local fitness club, to move more and more regularly, and share their results with the global Technogym community worldwide. Let’s Move for a Better World’s mission is to spread awareness of the benefits of regular exercise through a fun and exciting challenge that also promotes socialisation. From 11-30 March 2019, gym members around the world – from fitness clubs to hotels all around the world – are asked to join forces to donate their exercise and promote the Wellness lifestyle in their local towns or communities through a challenge based on MOVES (Technogym’s unit of measure for movement). By using connected TECHNOGYM equipment, participants can measure their training efforts and donate their MOVEs on MyWellness Cloud, TECHNOGYM’s cloud-based digital platform. Upon reaching predefined movement goals, each club can win a Technogym product to donate to any non-profit association of its choice which operates in fighting obesity and sedentary lifestyles. The more active the gym members are, the more MOVEs they collect and the bigger the donation will be to the communities. Alongside the social cause, ‘Let’s Move for a Better World’ represents also a very efficient tool for clubs to increase business and a win-win opportunity for all stakeholders involved: providing evidence of the impact of physical inactivity, operators are able to engage and motivate their existing members, attract new members and become Wellness Hubs in their community, inspiring and encouraging people to embrace a more active lifestyle. Since its launch in 2014, the campaign has grown in popularity, attracting more and more facilities and participants every year thanks to the initiative’s communication campaign through web and social media, and the viral effect created by members sharing their training experience online. 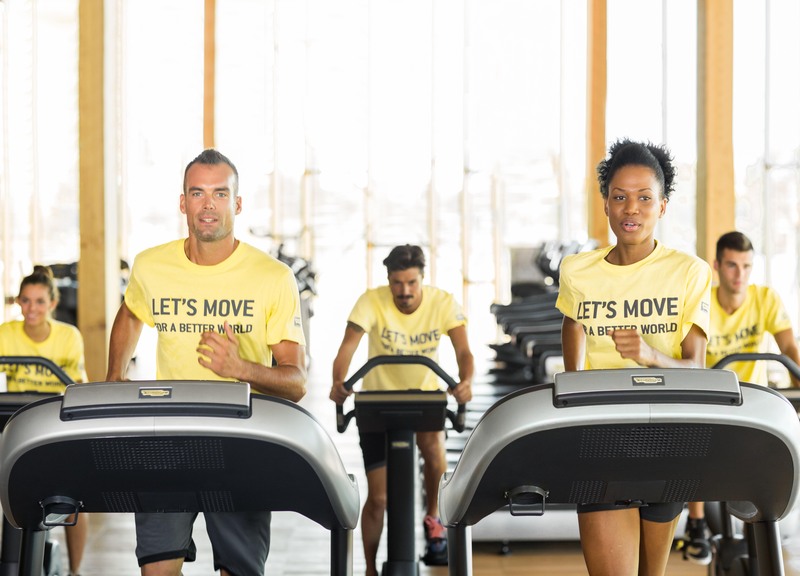 Technogym has grand ambitions for ‘Let’s Move for a Better World’ 2019, following the success of the 2018 edition: 180,000 participants in 29 countries completed more than 628 million MOVEs in 1033 clubs, burning a total of 263 million calories and losing a staggering 37,636kg. Register now to involve your members and your local community in our dream of creating a better world!